Who wouldn’t like to be paid for eating some scrumptious food? Or probably sleeping? Sorry to burst your bubble but in a country that mass produces engineers, doctors or MBA professionals, one could only wish for dreamy jobs that make leisure your penny earner. Churning out content around this idea, Magicpin, a discovery and commerce platform launched #BestJobEver. Dictated by the overwhelming societal standards or monotony of corporate, in this country half our life goes by in trying to be half as good as Sharmaji’s son. In the rat race of getting into common engineering or medical field we tend to overlook the job titles that actually provide professional satisfaction and bliss like maybe the paradise island caretaker or a candy taster. Sounds magical, doesn’t it? Talking about such unconventional professions that take the backdoor instead of following the norms, Magicpin launched #BestJobEver to innovatively bring to our notice the existence of eccentric jobs at Magicpin, which are unrealistic in the real world to grab the attention of the rebel millennial of digital era. Rolling out a film of a Beer Chugger (yes, you heard that right) the brand created portfolios for shows stalker, parantha pro, nail art diva, spa addict and tattoo titan. Through their film, the brand takes us through the (ideal) life of a Beer Chugger who’s day starts with beer and possibly ends with one. Taking us through his daily routine and scenarios in life, the Chugger is seen with a beer in the morning, another pint for lunch or some beer sprinkled while praying. 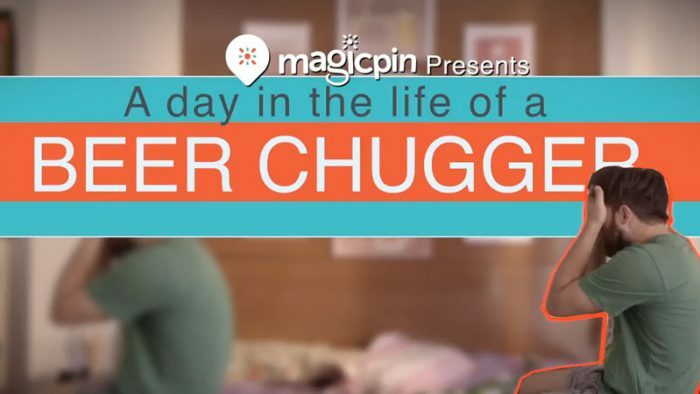 “We are initiating conversations along these lines of, what if beer chugger was a real job, and how would his day and resume look like and imagine the bliss if someone would get paid for having beer. 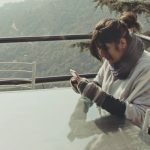 It is in the same vein as The Paradise Island Caretaker, The Netflix Tagger or The Candy Taster, these are the profiles that lie beyond the conventional, and are difficult to spot amidst the ‘real’ jobs,” explained Sharma. The brand’s microsite is conducting an interactive activity wherein they recruit people for these very profiles for which the brand claims to have received a thousand applications. By the end of this campaign, six winners would be selected who would be paid in the form of a year’s worth of free services, 100% cashback and lifetime membership of the Magicpin. Phase 1 and Phase 2 are currently ongoing, Sharma shared with Social Samosa. Did they pin their magic on social media? Being a new brand in the market, Magicpin set their target audience straight wherein the Y-gen, the youth between 18 to 25 years of age of Tier-1 cities in the country, who do not want to be restrained by the 9 to 5 grind became their focal point. “We want to be the naughty but a nice friend that is the life of every group, the one who everyone would look towards when they have to do the next fun, cool or adventurous thing. Someone who one sees as living by the line – don’t fear, just drink beer,” opined Sharma. Since the video released, it has already received 197k views, 1.9k reactions with 24,627 people liking and 24,587 people currently following them. (Numbers at the time of filing the report). According to the brand, the campaign has so far seen over 20,000 applications for the 6 job posts combined, with over 10,000 for ‘The Beer Chugger’ itself. It has had a reach of 5 Million across channels like print, radio, social and offline. As newbies on social media, the brand for now has a relatively fresh take on their colloquial, contemporary content and a plan good enough to engage their audience through building curiosity and get themselves acknowledged.